Vaporizing, as it applies to medical marijuana, is the process of heating dried cannabis to a temperature just below its combustion point of 392°F. Although vaporizers have been around for some time now, it is only in the last five to ten years that the benefits of vaporization have become widely known. Proper cannabis use has noticeable health benefits. In fact, nearly all of the health issues and problems associated with potentially harmful smoke (including carcinogens, tar, etc.) can be avoided if the herb is only heated to the point where the desired cannabinoids (typically found in the resin of the flower), are released without igniting/destroying the material. This is precisely what a vaporizer does. Accordingly, a variety of devices have flooded the market. In fact, today there are numerous products to help facilitate this process including pen vaporizers, portable vaporizers, and stationary vaporizers. Despite the wide selection, all vaporizers consist of a heating source and a delivery system. Here we will explore each of the different types of vaporizers, heating sources, delivery systems, and look at which are the preferred choices for patients approaching vaporizing from a health/wellness perspective. The vapor produced by a vaporizer is transferred from the heating chamber to the user through a variety of delivery systems. In convection vaporizers, a fan or pump is used to force the air over the herb and through a ‘whip’, or into a bag, otherwise known as a ‘balloon’. Whips are made of silicone piping and are around three feet long. One end of the whip is a mouthpiece, while the other is a glass connection that holds your herbs and slides over or into the heating element. The end that holds the herb is typically referred to as a ‘wand’ and contains a screen to ensure no material is drawn through the hose and into your mouth. Bag style vaporizers like the Arizer Extreme Q make use of food grade plastic often used to make oven-roasting bags (oven-roasting bags can be used as cheap replacements). The bags can attach and detach from the unit using a valve that prevents vapor loss. A mouthpiece is then inserted into the valve when the bag is detached from the unit, allowing the bag to be passed around a room. 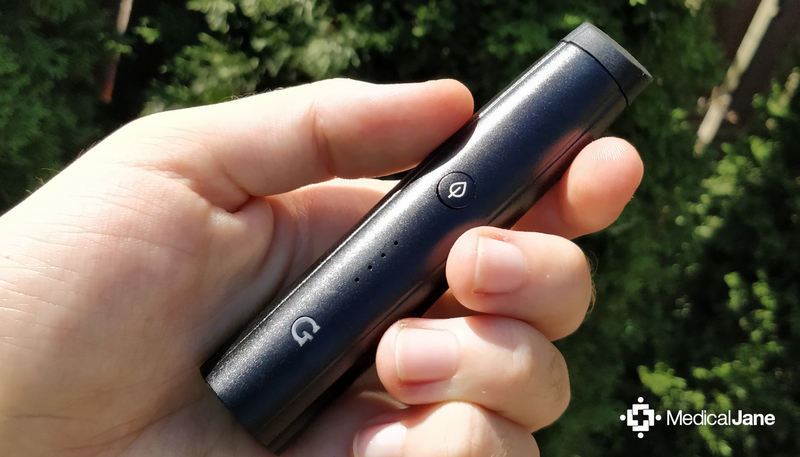 A number of vaporizers use tubes or stems made out of anything from glass to wood, whereas other units require you to draw directly from the device. While these vaporizers supply a direct vapor stream with little opportunity for loss of taste, many users find the vapor to be too hot and concentrated. Many of these styles of vaporizers can be supplemented with a whip or stem. Direct draw is most commonly found with portable/pen vaporizers. 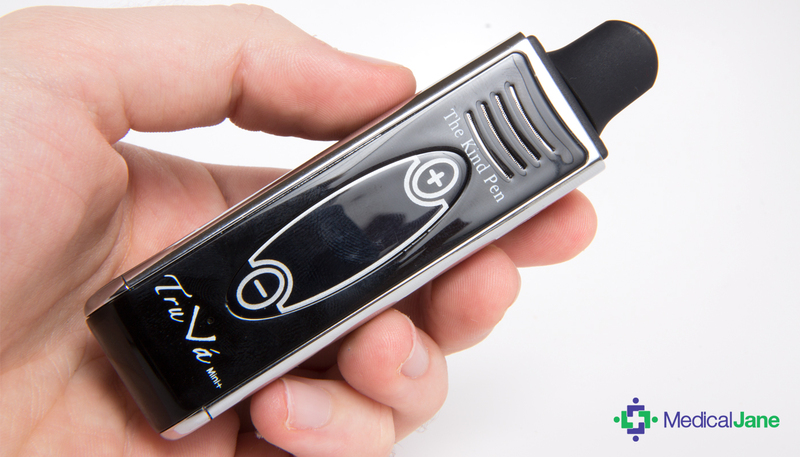 These vaporizers offer mouthpieces which are found attached directly to the unit and allow the vapor to flow directly from the heating element to the user. Some direct draw vaporizers offer a removable stem (typically glass), while others have the mouthpiece permanently attached (like pen vaporizers). Conduction heating works by utilizing direct contact of the herb with an electrically heated surface, often times solid metal or a screen. A common problem with vaporizers like this is burning of the herb due to poor heat distribution. It is very difficult to regulate the temperature with vaporizers that use conduction. Included in this category are e-cigs, vaporizer pens, and a majority of portable vaporizers currently on the market. Convection heating, on the other hand, works by passing precisely heated air over the dried herb, vaporizing the material more evenly and efficiently. This makes convection heating the preferred choice for many patients looking to get the most out of their vaporization experience. The herb never comes in touch with the heating element; instead air is either forced by a fan, or through inhalation, over the herbs and through the delivery system. Heating elements for convection vaporizers are typically made out of ceramic, though some are made out of stainless steel or other types of metal. Ceramic heating elements retain heat extremely well and are unaffected by cool air drawn through the system. Examples of quality vaporizers using 100% convection heating systems include the VapeXhale EVO, the Arizer Extreme Q, and the Herbalizer. Radiation vaporizers use radiant energy either produced by electricity or a light source to provide heat. The herb absorbs the radiant energy, increasing in temperature until its components vaporize. These types of vaporizers are more rare, and are on par with convection vapes in term of quality of vapor produced. The Magic Flight Launch Box combines radiation [or infrared heating] with conduction heating by engaging a battery, sending a current across a metal screen transferring heat to your herb packed on top. At the same time, the hot screen emits infrared rays that transfer additional heat across the herb. Vaporizers designed to heat the cannabis in its raw, bud form are known as dry herb vaporizers. Dry herbs of all sorts have been used for centuries for meditation, relaxation and medicinal purposes. Certain flowers and herbs (including cannabis) can dried, crushed and then inserted into a vape pen that is dry-herb capable. The vape’s oven chamber will heat up the dry herbs which will release a vapor which can then be inhaled. To get the most out of your vaporization experience, be sure to grind your material using an herb grinder to break your material down to create more surface area for the heat to reach. Waxes, shatters, crumbles, and oils are a concentrated form of cannabinoids and terpenes and are therefore referred to as cannabis concentrates. Due to these products being a concentrated mix, you have the benefit of only needing a very small amount to get the same effect as you would with larger amounts of a less concentrated mix. If you are looking to vape concentrates you will need a vapor pen that is capable of doing so as not all vaporizers have this functionality. In fact, many vaporizer manufacturers now offer special attachments to convert standard ovens to be compatible with concentrates but it often costs extra. Studies have found that the sweet spot for vaporizing cannabis is around 338°F, even though cannabinoids [the medicinal compounds found in the cannabis plant] begin to vaporize at 285°F. At this temperature the active cannabinoids in cannabis are converted to a vapor that can comfortably be inhaled as opposed to a joint which can burn as hot as 2000°F or higher. While the exact amount of components released depends on the compounds present and the temperature, none of the toxic bi-products of smoking plant matter is present in the vapor. This means that vapor will have a much higher percentage of desired cannabinoid /terpenoid content when compared to smoke. 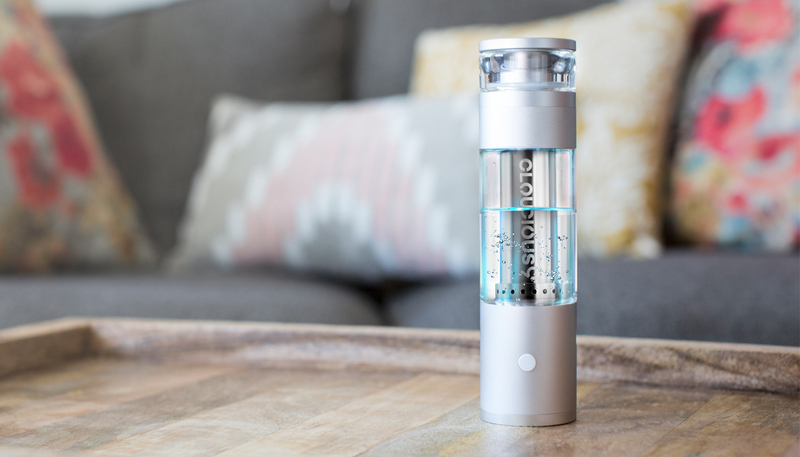 Many vaporizers typically feature a digital temperature control that allows you to alter the ratio (the term ratio is important here) of active components you’re vaporizing. When you ignite cannabis with a lighter, you are releasing all cannabinoids at once, often times destroying desirable cannabinoids and terpenes that give cannabis its unique flavor, smell, and effects. Since terpenoids have the lowest boiling point, around 132°F, they are typically the first compounds to be released by vaporizing. As such, if you are looking for a tasty, aromatic hit, you should select the lowest available temperature setting on your vaporizer and slowly work your way up to 350°F to finish off your material. As you approach the boiling points of other compounds, you are increasing the quantity of the compounds that is vaporized. It is important to keep in mind that even at temperatures below a compounds boiling point, vapor is still produced similar to the way boiling water releases wisps of water vapor before the boiling point is reached. The vapor is just present in lower ratios. Since vapor is not always visible at lower temperatures, you must judge what temperature to set the vaporizer at by the taste and smell of the vapor produced. Although you will mostly find these temperature controls on convection units, temperature controlled conduction vaporizers are beginning to appear. While it is safe to assume that most displays do not represent the exact temperature, most are very close and is much more accurate than vaporizers without temperature control. It is also important to note that the displayed temperature is not actually a measurement of the temperature of the herb you are vaporizing. The Institute of Medicine found in 1999 that, “because of the health risks associated with smoking, smoked cannabis should generally not be recommended for long-term medical use.” Although there is no evidence that smoking cannabis causes lung cancer, or even damages them, it is thought that the smoke can potentially cause symptoms that may lead to respiratory problems. This is why vaporizing should be the primary delivery system for medical marijuana patients. Multiple scientific studies have been conducted confirming vaporizing as being a healthy alternative to traditionally smoked marijuana. These results aren’t the culmination of bias or wishful thinking at the hands of medical marijuana advocates or sympathizers; they are the result of sound scientific theory and evidence. It’s a fact: Vaporizers successfully deliver the therapeutic effects of marijuana without exposing patients to the harmful side effects from smoking. Long term risks associated with inhaling combusted materials (such as respiratory disease and multiple types of cancer) are often not a main concern for older patients or those already ailing from cancer or other debilitating diseases. However for younger patients medicating for reasons such as eating disorders, anxiety, stress, insomnia, etc., long term effects of smoking medical marijuana should be taken into consideration. Simply put, vaporizing cannabis is a healthy alternative that will not come back to harm patients in the future like smoking has the potential to do. What are the benefits of vaporizing as opposed to smoking cannabis? Is vaporizing medical marijuana safer than smoking? What is the ideal temperature to vaporize medical marijuana? Are convection vaporizers better or worse than conduction vaporizers? What is a vaporizer and what does it do?